The two most important features of Snow Ryder are her auto-flowering capability and the sparkling, resin crystals that cover her mature buds like a blanket of snow. Auto-flowering cannabis begins blooming according to the age of the plant, rather than the light cycle, and this tendency gives SnowRyder growing advantages both indoors and out. SnowRyder seeds produce plants which normally begin flowering around the time they has produced their 6th to 9th set of true leaves, (typically 6-8 weeks in good growing conditions). Snow Ryder is not a dwarf cannabis strain, nor will she grow out of control due to grower error (such as vegetating too long). Snow Ryder´s final height is more or less pre-determined, with most plants finishing around 90-120cm. Outdoors, auto-flowering means that Snow Ryder seeds can be started early in Spring to have her flowering in June or July (when the weather is at its best) and finished by September. Plants are sturdy and internodal gaps remain short in good conditions. 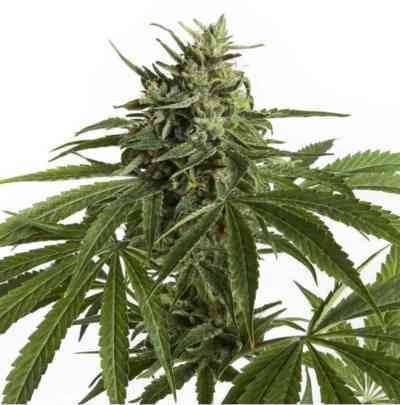 Buds are Indica-tight, frosted with sticky resin and have a sweet-spicy, earthy-citrus flavour. Snow Ryder cannabis gives a deep body stone that´s tempered by a breezy high. zu wenig dran, bin enttäscht.